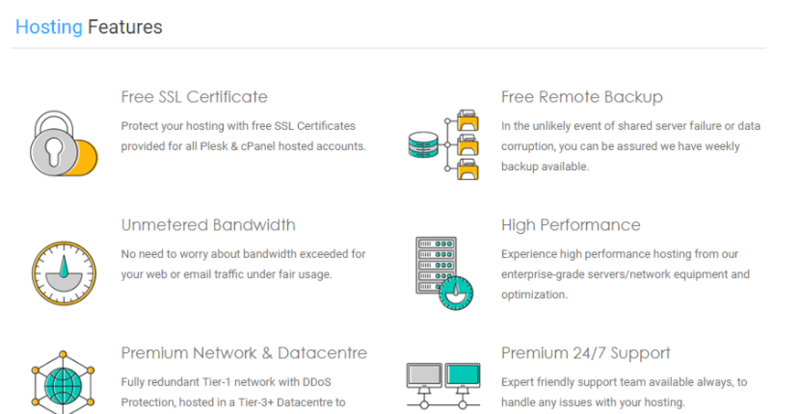 Apc Hosting Review 2019: Is Apc Hosting a Good Hosting? Singapore-based Apc Hosting offers a range of web hosting and IT services. In operation for over 15 years, they are a leading Asian provider with a proven track record. Their plans are particularly pertinent to software development and WordPress. Founded in 2003, Apc Hosting is one of the top web hosting providers in Asia, and they have an array of awards to prove it. They offer web related services including web hosting, web development, graphic design, and IT support. Software developers will be impressed by Apc Hosting’s support for a plethora of programming languages including NodeJS, PHP, Java, Python, and ASP.NET for writing and hosting custom applications. They also offer an invaluable programming tool, Git, plus support for MySQL, Apache, and NGINX. Apc Hosting doesn’t only cater for experienced customers; some of their plans are beginner-friendly too. Their Managed WordPress hosting solution comes with a toolkit that shows you how to build, secure, and run a WordPress website. The only downside is that WordPress is available only on a VPS plan, which is relatively expensive for new businesses. Beginners may find their other managed plans challenging since there are no web builder tools and no free CMS support. If you want to host an e-commerce website, you will have to build and deploy custom applications. It should come as no surprise that Apc Hosting shies away from providing beginner-friendly tools because they offer their own web development services. Nevertheless, these very same services could serve as a one-stop-shop for anyone wanting to create their online presence using only one platform. Web hosting prices are above the market average, but so are their features and services. You can customize their packages so that you pay for what you need, which is ideal for businesses looking to get optimal space for minimal spend. With Apc Hosting you get a 30-day money-back guarantee, and two months free if you buy a yearly subscription. The knowledge base is not comprehensive enough, especially for beginners, but their excellent customer service more than makes up for it. There are several customer support options including ticket and live chat support, email, and phone support. When testing the live chat option, I immediately got hooked up with a very helpful agent. And if you opt for email instead, you should get a response within two hours. Apc Hosting offers an array of choices for both shared and VPS hosting. While valuable for most businesses, intermediate and expert users, it might be better for beginners and e-commerce businesses to look elsewhere. Wondering how Apc Hosting stacks up against other Web Hosting companies? Enter any other Web Hosting company and we will give you a side-by-side comparison.